The ThunderTank is given a trial run as the THUNDERCATS attempt to liberate the BRUTEMEN from slavery. The MUTANTS are using them to build the evil Castle Plun-Darr S-S-SLITHE uses “Warp Gas” to turn the otherwise meek BRUTEMEN into raving monsters. 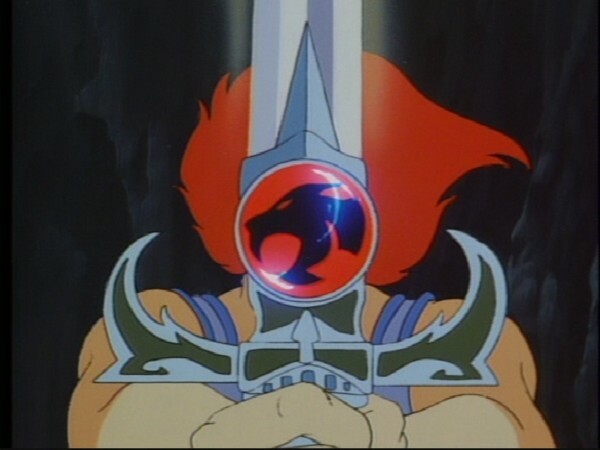 Using the Sword of Omens, LION-0 sees PANTHRO in trouble. The sword forms an energy field which pushes the Warp Gas back at the MUTANTS, who themselves become meek. The BRUTEMEN are freed and the THUNDERCATS have once again triumphed over evil and tyranny. Freedom is a basic personal right that must be respected. Lion-0 learns the enslavement of others for one’s own purposes is to be resisted. And he knows that the rightness of actions carries its own reward apart from any reward or gratitude that might be received from others. The highest level of moral conscience is that in which the moral value resides in conformity by the self to shared standards, rights and duties. It is a level beyond that in which moral value resides in performing good or right roles, in maintaining conventional order, and in the expectancies of others. At the highest level, morality is based on universal principles (Kohlberg, 1963). This episode is a very hard one to summarize, because, like “Berbils” (the episode that immediately precedes it), it’s an episode you have to look at in context. The plot of the episode is actually quite simple—the Mutants enslave a race of simple beings to help them build a fortress, and the ThunderCats have to free the Mutants’ slaves. 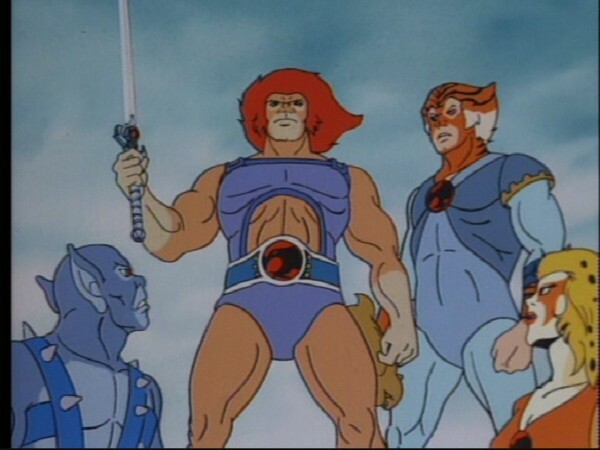 There are other episodes in the ThunderCats series that are more imaginative in their scope, but where this episode is both essential and excellent is by setting the tone for the rest of the series, and moving the series on in continuity terms by showing both the ThunderCats and the Mutants properly establishing themselves on Third Earth. 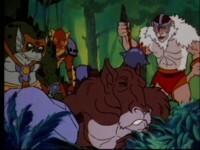 This episode could almost be regarded as the first “regular” episode of ThunderCats—whereas the first three episodes focus on the ThunderCats’ fleeing Thundera and trying to build a life for themselves on Third Earth, “The Slaves of Castle Plun-Darr” is actually the first episode that shows them being truly proactive in the defense of their new homeworld’s people. Whilst they did defend the Berbils from their natural enemies, Lion-O’s initial involvement in that was an accident, albeit an accident with highly fortunate consequences—whereas, when the ThunderCats hear of the Brutemen’s enslavement, they do not hesitate to leap to their defense. 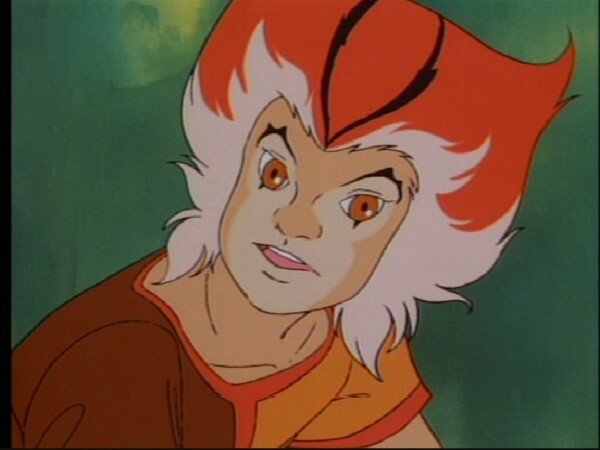 For the ThunderCats, this would be the start of a long process of making friends and winning over the various peoples and races of Third Earth, a theme revisited many times throughout these early episodes. Although easy to overlook, this episode is also full of lovely character touches that help to further acquaint the audience with the show’s feline heroes. The opening scene showing WilyKat and WilyKit playing amongst the trees is a delightful one, showing how adaptable the young Thunderkittens are and how the innocence of youth enables them to instantly take enjoyment and excitement from their new surroundings. This episode is also a fantastic showcase for Lion-O, showing how quickly he’s maturing and slipping comfortably into his role as Lord of the ThunderCats before our eyes. Lion-O is still full of lion-like pride, the scene where he refuses to run from the Brutemen showing that his pride is still yet to be fully tempered by wisdom. And yet somehow Lion-O seems increasingly comfortable interacting with his fellow ThunderCats, looking less and less like a child in a man’s body and more like the confident leader he will become. 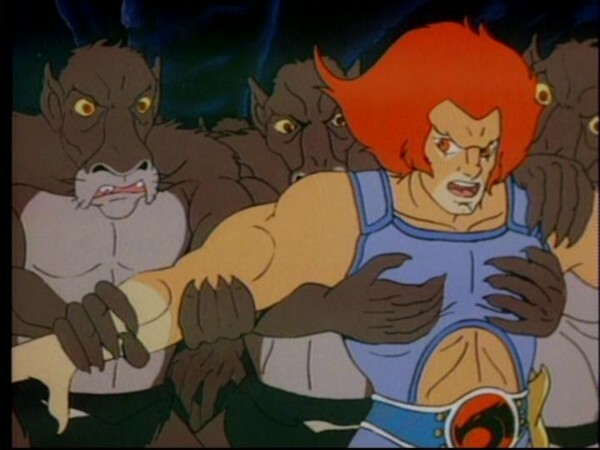 Although it could be argued that this episode is possessed of a somewhat unimaginative plot, in my opinion a more complicated storyline would simply overshadow some of the important things that take place in this episode, such as the ThunderCats growing into their roles as protectors of Third Earth, the character development mentioned above, and also several important scenes showing the ThunderCats and Mutants establishing themselves on Third Earth with their respective bases, Cats’ Lair and Castle Plun-Darr. The two bases are shown to the audience within minutes of each other, and the contrast between the two is stark—whilst Cats’ Lair is surrounded by sunny daylight and clear skies, Castle Plun-Darr is shrouded in gloom; and whilst Cats’ Lair stands proud and upright, the Mutants’ fortress assumes a menacing pose. 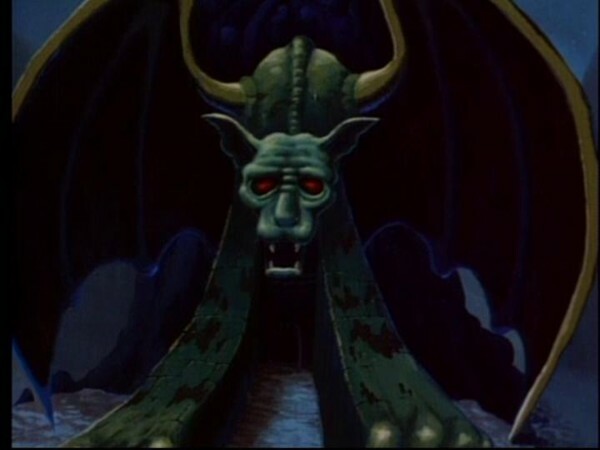 The absence of Mumm-Ra from this episode is also a clever move, as it focuses the audience’s attention on the two alien races on Third Earth, the ThunderCats and the Mutants. With the two parties properly established on the planet, battle is truly ready to commence! 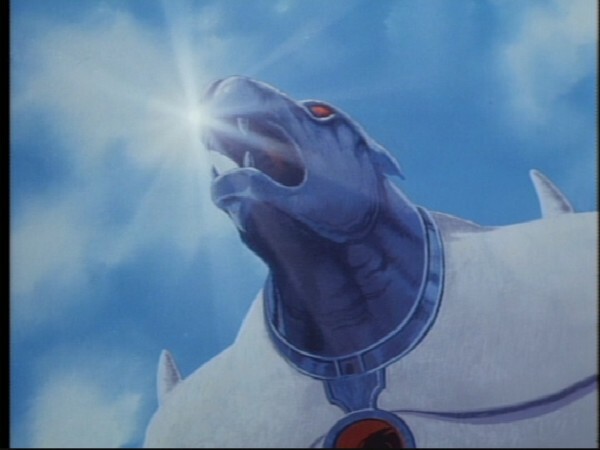 “The Slaves of Castle Plun-Darr” is the last of the four introductory episodes of ThunderCats, and is also the last episode to make up the home video “movie version” of “Exodus”. Unlike the episodes that precede it, “The Slaves of Castle Plun-Darr” makes it into the “movie” with no major edits or additions to any of the scenes found in the stand-alone episode. However, there are some alterations to the soundtrack of this episode as it appears in the “movie”, with several scenes re-scored and also with the curious omission of Panthro’s statement that the Thundertank seems to be passing its trial run “with flying colors”. 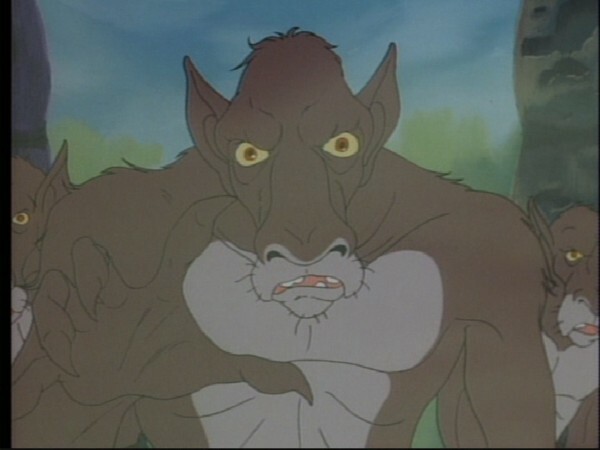 Of the scenes re-scored for this episode as it appears in the “Exodus” home video release, perhaps the most notable is the fight scene between Panthro and S-S-Slithe, which, instead of featuring the most common version of Panthro’s theme music, in the “movie” actually features the second half of it! This segment of music is very rare, and is almost never used (the exception being “Dream Master”). Sadly, the standalone episode just uses the more common segment of Panthro’s theme music. The original script for this episode shows that the Brutemen’s appearance went through some changes when making the transition from script to screen, describing them as “slightly larger than normal human size, muscular in an undefined sort of way”, with “no neck to speak of, odd patches of hair sprout[ing] from their bodies willy-nilly, and though the color of their hair is predominantly gray, the color of their hair varies.” Their faces were described as looking “as though features had begun to be sculpted out of putty but never completed.” This possibly explains WilyKit’s description of the Brutemen to the other ThunderCats, where she states that they look as though they were made from “leftover parts”, a slightly strange description for the creatures we finally see in the episode. 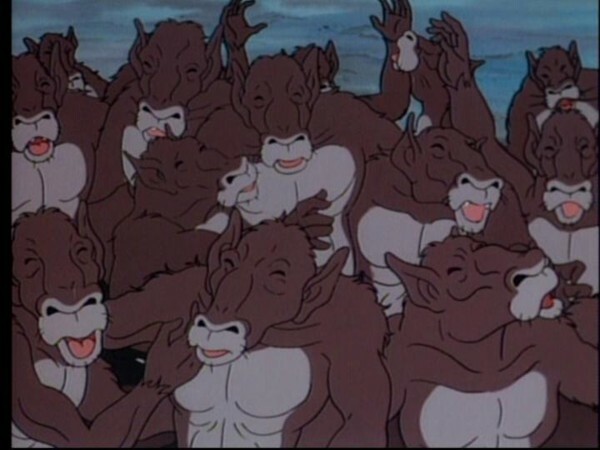 This is the only episode of ThunderCats’ season 1 where the Brutemen would play a significant role. They would next feature in the “Mumm-Ra Lives!” 5-parter from season 2, this time helping the Lunataks to build their evil fortress, Skytomb! In the scene where the Thunderkittens are describing what they’ve seen to the others, this episode’s script refers to Ro-Ber-Bill by the name “Coo-Ber-Bill”! It’s possible that this was an early, prototype name for the Berbil leader. 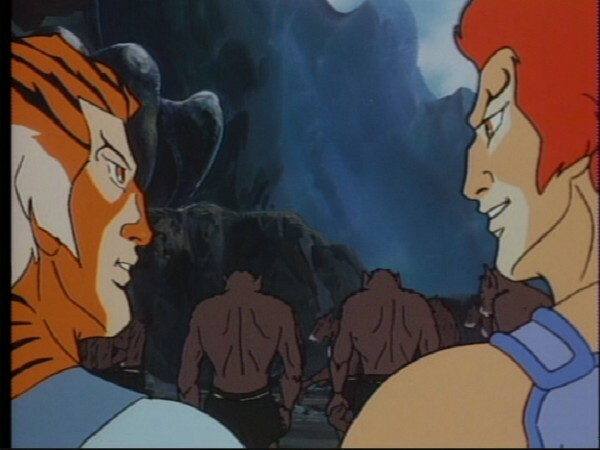 Later in the same scene, the script for this episode also shows a short exchange of dialogue between the four adult ThunderCats that was cut from the final episode. 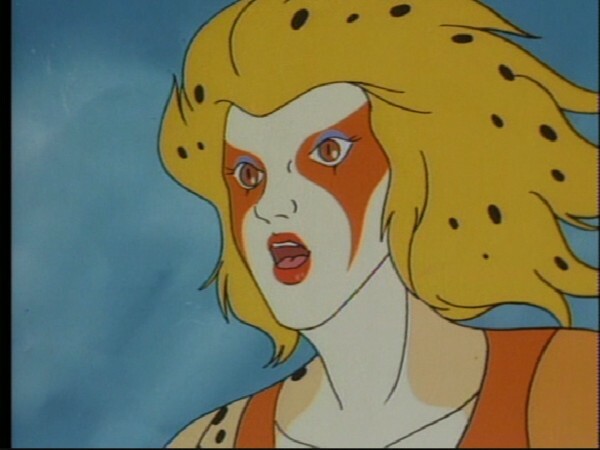 The most notable thing about the exchange is Lion-O frowning at Tygra’s informing him that the Mutants have enslaved the Brutemen, and commenting “That’s not right, is it?”, to which Panthro, chuckling and rubbing his hands gleefully, responds “Not where we come from it isn’t!” Cheetara expresses surprise that Panthro seems pleased, and the ThunderCat engineer informs her that it’s not that he’s pleased about the Brutemen’s capture, but that he’s been dying to give the Thundertank a real workout. 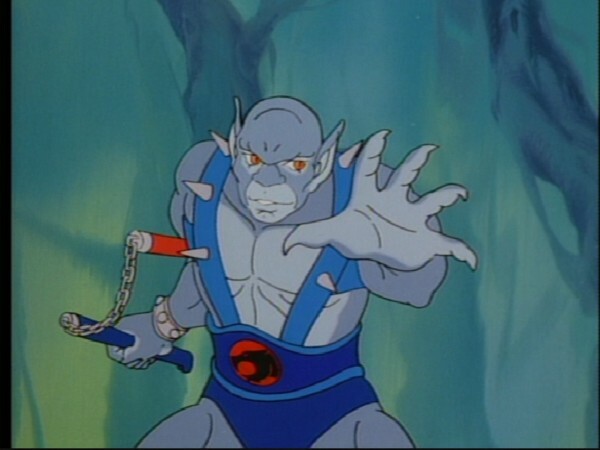 This leads into Panthro’s line of dialogue to this effect that made it into the completed episode. It’s possible that why Lion-O’s line was cut was because it makes him seem less mature, reacting to the Brutemen’s enslavement in quite a childlike way. 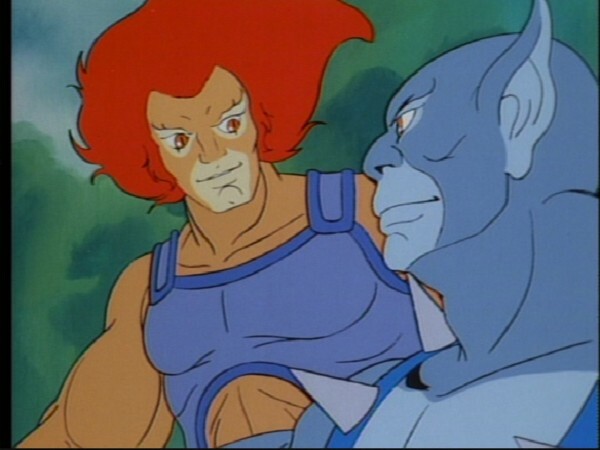 This could well indicate that the writers were unsure at this early stage as to how to develop Lion-O’s character. This missing line also adds more meaning to Lion-O’s realization at the end of the episode that he fought to free the Brutemen not for thanks but “because it was the right thing to do”. In the original script for this episode, the scene where the Mutants are first shown cajoling the Brutemen to get back to work is described in detail. The script goes to great pains to emphasise that, whilst the Mutants’ actions are threatening, “at no point do they actually strike the Brutemen“. This is a reflection of how seriously the writers of ThunderCats took the portrayal (or, rather, “non-portrayal”) of violence in the series.